She’s making perfume not war…………. 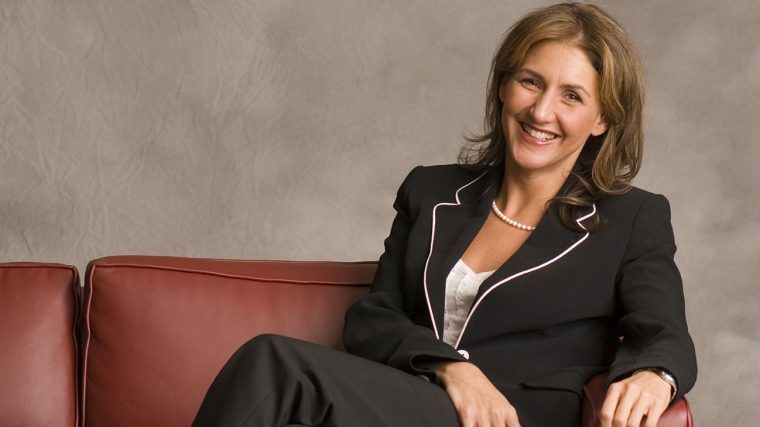 In Conversation with Barb Stegemann, Founder and CEO, The 7 Virtues | The Perfumed Dandy. Barb embraces the young woman like an old friend before saying goodbye, slightly British and coy the journalist retreats, smiling, happy, perhaps a little overwhelmed. It’s a feeling I recognise all too well. The first time I encountered Barb face to face was in her capacity as an Honorary Colonel for the Royal Canadian Air Force. We had met on line and she invited me to hear her address an event to promote Anglo-Canadian trade. She was billed as the ‘inspirational’ speaker, as so many decidedly uninspiring individuals often are. Barb though met and exceeded her billing. She was truly inspiring, engaging and motivating, setting out the story of how she came to be involved in the perfume industry and birth of The 7 Virtues. The catalyst for The 7 Virtues was a traumatic, near tragic, event. 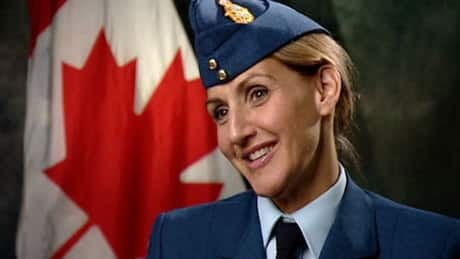 Her best friend, a member of the Canadian military, was working to build community relations in Afghanistan, “fighting the battle to win hearts and minds” as Barb puts it, when he was attacked by a radicalised sixteen year old boy at a Shura, an Afghan version of a town hall meeting. He suffered an axe wound to the head, the second intended blow would certainly have killed him had it not been prevented by the other Afghans he was meeting with. There followed a year of frequent visits to the hospital, providing support to Captain Green and his family. It was during this time that the idea for The 7 Virtues formed, “I was determined that out of this terrible event something good should come. Something that marked the sacrifice of my friend and the other Canadians and international forces working in Afghanistan and, of course, benefited the Afghan people themselves”. That idea was for a new kind of social enterprise a ‘not just for profit’ company that would take the natural resources of the Afghan people and make them available to Western consumers in an accessible form. So the essential oils of rose and orange blossom, both of which improbably flourish in the mountainous country’s terrain and are, as Barb comments, “deep and complex like people” would become a range of perfumes. Barb is no dewy-eyed Pollyanna though and knew that “We had to pay a premium for the product if we were to persuade people away from the poppies”. Cultivation of the flowers from which opium and in turn heroin is produced is still a mainstay of the Afghan economy. Fixing a determined stare on me, one I sense might have been deployed in many a negotiation, Barb becomes deadly serious “These people have nothing. Growing poppies pays multiples of what other crops do. It’s simple economics when you have families to feed, children to clothe”. So began the next chapter of The 7 Virtues story and the one which has perhaps garnered her the greatest public recognition in her native Canada. 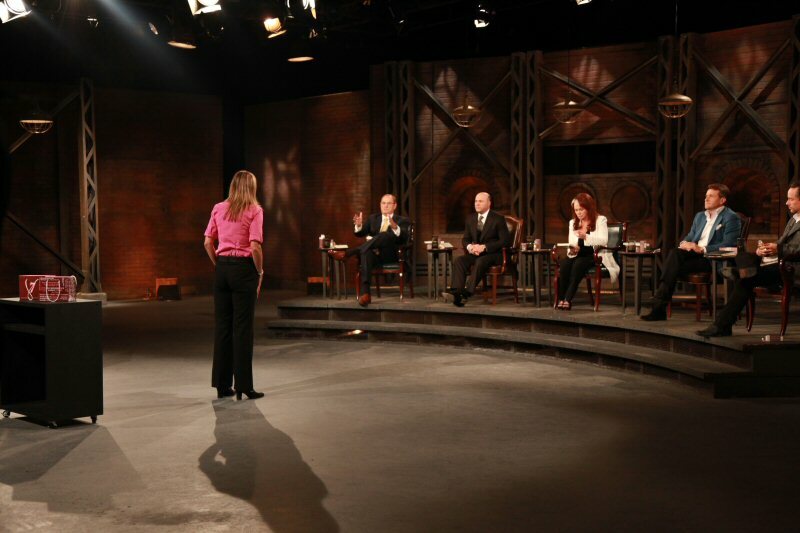 Of her appearance on ‘Dragon’s Den’, the Canadian version of the BBC tv series in which budding entrepreneurs pitch ideas to a panel of unforgiving business ‘experts’ in the hope of securing their personal investment, Barb is, as ever, disarmingly straightforward. The Dragons’ did though, and Barb found herself in the unusual position of having to choose between a clutch of investors all willing to buy into her dream. This is where Barb’s inner steeliness came to the fore. Apparently unflustered by her new position of strength she turned tables on the Dragons setting them a challenge. Which of them would be the most forthcoming not only with their money but their time, business expertise and connections? And this is what she has found in her relationship with her Dragon, W. Brett Wilson (left), who she says has become a ‘true friend and a great champion of the brand’. We touch on some of the troubles that have beset winners of other business-themed television shows, on the ongoing and very public employment case then being pursued by a past winner of Britain’s edition of ‘The Apprentice’ against her mentor and employer Lord Sugar (a case that Sugar will ultimately win). Barb though has nothing negative to recount on her experience “…it has been entirely positive, within hours Brett was opening doors for us, getting us into places and help forge deals that could have taken forever otherwise, if they’d happened at all”. And then, more quietly “…it’s as much about what you put in, what you ask for as what your mentor can do for you, it’s a two way – an organic – thing”. I suspect that much of the truth lies in this statement, it’s Barb’s infectious enthusiasm, her determination and abiding sense of mission that has made this happen as much as any reality television fame and external investment. It might have taken longer, but I suspect The 7 Virtues’ success would always have happened with Barb at the helm. And that success has been truly dramatic. The company’s brief has expanded from Afghanistan to encompass other war zones and places of conflict, so in addition to ‘Noble Rose of Afghanistan’ and ‘Afghan Orange Blossom’, they now also have the wonderful ‘Vetiver of Haiti’ and ‘Middle East Peace’ a light, crisply refreshing citrus blend that sources its ingredients from Israel and Iran. As is The 7 Virtues own tale, it’s grown to become the best-selling fragrance line on board Air Canada’s fleet, is available across the nation at Canada’s The Bay chain of department stores, where it’s competing with the big boys, finishing once as high as sixth in terms of brand sales. Another example of doing things differently I remark is the Custom Blend Box, which launches on United Nation’s International Day of Peace, the 21st of September, today in fact. It actually invites consumers to layer The 7 Virtues scents, something some of the other established perfume producers would never dream of doing. So the Custom Blend Box seemed like a natural way to give the customers what they wanted. 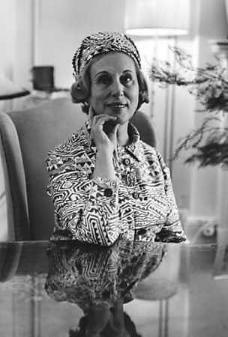 I’m reminded here of perhaps the greatest saleswoman the fragrance and beauty industry has ever seen, Estee Lauder, she too had an unerring sense of what the public wanted, the humility to listen to her sales staff and the flexibility to change her product range to meet the needs and desires of customers. Not bad footsteps to follow in. I wonder if The 7 Virtues would go as far as changing the actual scents if that’s what the customers wanted. Another rule broken I laugh, perfume houses are never happy to talk about reformulation, scarcely ever admit to it. Barb’s eyes widen again, that same gently iconoclastic glee flushes her face. Other dictats that Barb can do without include having sales assistants spraying unsuspecting customers as they go passed “I want people to try our products because they want to, not have them forced on them” and trading internationally without all the travel. Yes, the internet has been a major factor in allowing The 7 Virtues to have a global footprint without the carbon footprint to match, but Barb is equally enthusiastic about the role of government agencies and non governmental organisations that have done much of the enabling work that has allowed her venture to prosper. She goes on to talk eloquently about how easy it was to find producers and source suppliers in some of the most infamous places on Earth. Thanks to the work of other bodies, including buildingmarkets.org The 7 Virtues was able to locate quality assured producers and form relationships with them quickly. “Building on the work of others and demonstrating their success through our own”. They are relationships that have lasted, “We’re still working with all our original suppliers”, though the size of orders may change and new suppliers may be added to the list, Barb feels it’s important to show that trade provides “a sustainable and long term solution to poverty”. The Selfridge’s launch, then some point in the future, now in full flow (go and catch them all this weekend at the Oxford Street store if you’re in London, I’m assured ‘the stand rocks’) is occupying Barb’s mind as is her son’s possible upcoming move to London. She switches between the two topics and host of others with undimmed enthusiasm, all of which makes her great company and an entrancing conversationalist. But what, I wonder, is she like to work with? How does she get along with her perfumeur? And yes, I can, working with Barb must be an exhilarating, exhausting, but very, very rewarding experience. On rewards, she talks about the benefits that a regular income has brought to one of the Afghan communities that she works with. The number of lives that have been changed by their work. Then goes on to recount a typically rebellious tale. 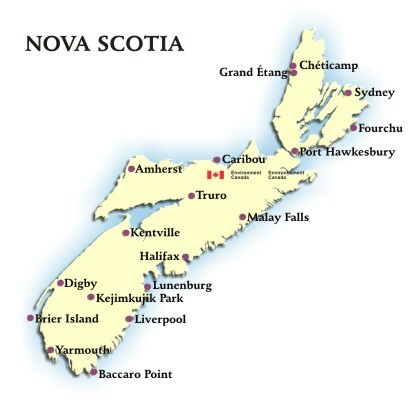 It’s a mantra that Barb is now bringing back home to Canada, she tells me with evident satisfaction that she has been able to move production of The 7 Virtues to her home province of Nova Scotia, where she herself has returned to live after many years in British Columbia. This encapsulates Barb, she is a woman not about empty words or easy gestures, but practical steps that deliver positive outcomes. Walking through the vast sales rooms of Selfridges we talk excitedly about where the launch might happen, of possible locations for the stand. Would it be better by the escalators at the centre of the Perfume Hall? Or away from the mega brands, cutting its own dash somewhere unlikely, in the book department perhaps? Saying goodbye to Barb in the hazy sunshine outside the store’s enormous bronze art deco doors, we embrace. As she wanders off to explore London by foot I smile to myself… yes, she and The 7 Virtues will be just fine. But I’m not amazed they got this far, with Barb out front it was almost inevitable. 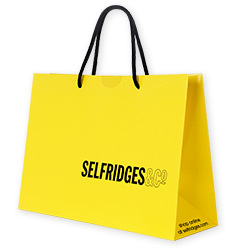 Have a splendid weekend, and if you’re in town why not mosey down to Selfridges! If you’d like to find out more about The 7 Virtues why not visit their website, where you can also catch Barb’s appearance on ‘Dragon’s Den’. Barb also has her own site with more about her incredible story and the range of activities she’s involved with. Look forward to seeing your interview… Barb is a great conversationalist! Fabulous interview with a fabulous woman! I so admire what she has done an what she is doing. What a treat for you to get to pend some t me with her. Bravo dear friend! I am, like yourself, filled with admiration for Barb’s work, and the woman herself is nothing short of a force of nature! What an interesting story, and a great interview, Mr. Dandy. I enjoyed it so much, and I’m even more determined now to sample 7 Virtues. Well done! It is an interesting tale isn’t it, and certainly makes trying the scents even more of a necessity. I’ve been sampling them again myself over the last few days! Excellent interview. What a lovely person to encounter on your fragrant journey. An absolute scented star! I’m sure on day soon your paths will cross! thank you dear man for introducing us to Barb. 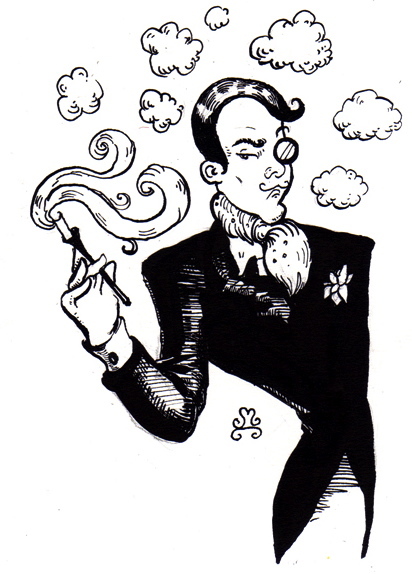 ‘Tis The Dandy’s very pleasure… Inspired indeed! Congratulations on several great interviews, keep it going like that! And thank you for that, for sharing it with us! I’m so pleased that you enjoyed the interview… I may have a few more coming up (quite) soon… after a few reviews. It’s such an awesome brand. Barb is awesome. I had a chance to briefly talk to her at Elements in January. I hadn’t heard of the brand until the show. She was so enthusiastic, motivated and passionate. Her good mojo rubbed off on me. I also want to stay that it’s excellent “retail activism” but that the fragrances are actually great too. They’re high-quality and effortless to wear. Yes “effortless” that’s a perfect description of the experience of wearing these perfumes. What a touching story and you relayed it so marvelously to us! Off to go to her website and 7 Virtues. Glad you got “barbed”. So inspiring. What a wonderful woman. I deeply wish there were more initiatives like this. The drugs trade is the only possibility for so many people in war torn or struggling countries and the powers that be so often attack it from the wrong end – with mostly futile results. We need more Barbs in this world!